A scientist from the University of Alberta may have found a way to improve the quality of life for people living with celiac disease—an auto-immune dysfunction that makes the small intestine hypersensitive to gluten, making it difficult to digest food. Hoon Sunwoo, associate professor of pharmaceutical sciences at the university, has found a promising solution to temporarily protect those who are medically unable to consume gluten with no risks involved. Sunwoo has spent the last 10 years developing a pill so that celiac sufferers can enjoy a pizza and beer, or other gluten products, without the resulting consequences of stomach cramps, bloating, gastro-discomfort, headaches, or intestinal damage. The pill is made from egg yolk antibodies that coat the gluten, allowing it to harmlessly pass through the body. By doing so, affected individuals avoid the risk of painful symptoms and intestinal damage. Celiacs are to take the pill a few minutes before eating or drinking, and for the following two hours they could enjoy the foods that normally make them sick. Sunwoo warns that the pill is not a long-term solution, so celiac disease sufferers must still adhere to a strict gluten-free lifestyle. While the pill is still in its preliminary trial stages, it is expected to begin clinical efficacy trials in 2016. 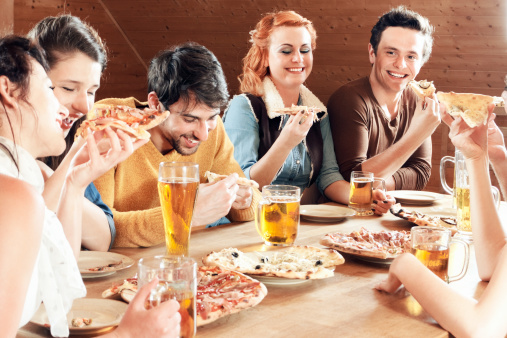 CBC News, “Gluten pill may allow celiac disease sufferers to enjoy pizza, beer,” CBC web site July 15, 2015; http://www.cbc.ca/news/canada/edmonton/gluten-pill-may-allow-celiac-disease-sufferers-to-enjoy-pizza-beer-1.3153262.